First Prize Winner: VOOM 2018 Richard Branson Virgin Media Business Award! 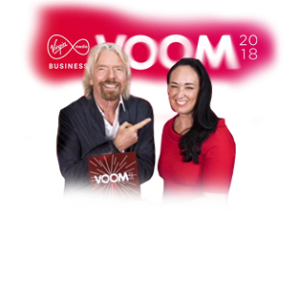 Winner First prize International VOOM 2018 Richard Branson Virgin Media Business Award! Dublin’s Junior Einsteins was one of two women-led companies to take the crown and a share of about €1.1m in prizes at Virgin Media Business Voom 2018 in London today (23 May). The company led by Tracey-Jane Cassidy won the Spark & Start category at Voom 2018. Junior Einsteins saw off stiff competition from Castify, which helps people to find and cast actors; and Gobbler Boats, which is helping to remove oil and plastic from the ocean. The judges included Virgin founder Richard Branson; co-founder of Innocent drinks, Richard Reed; serial entrepreneur and TV presenter Sophie Morgan; founder and CEO of Tropic Skincare, Susie Ma; and Virgin Media Business managing director Peter Kelly. Runner Mo Farah joined Branson to give UK firm Heroes4Hire a special award. It recruits, trains and fully employs former service personnel to help them find work after leaving the armed services. Peter Kelly, MD at Virgin Media Business, congratulated the winners. “These dynamic businesses symbolise the vitality and potential of startups and small businesses that Voom is helping to unleash,” he said. Junior Einsteins encourages children to get into STEM subjects through hands-on interactive experiments and amazing science events. In her pitch, Cassidy said that she started Junior Einsteins through necessity. “I’m a scientist and a single mum with three small children and I wanted my kids to do more hands-on science. “I believe that you don’t have to be the smartest kid in school to do science. 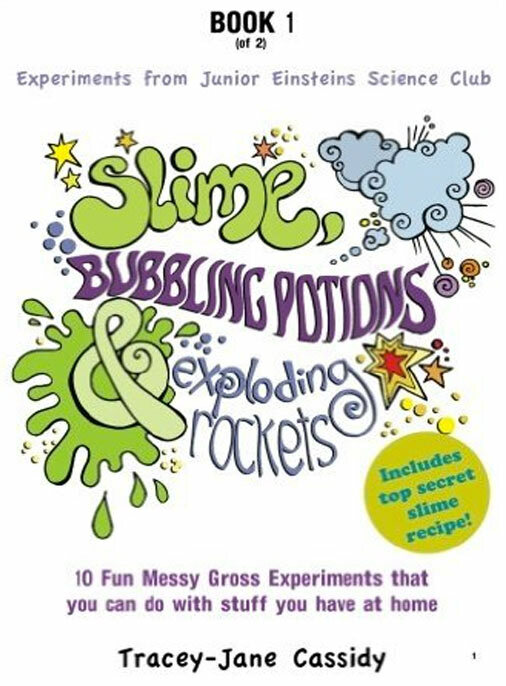 I started by doing experiments and got people on board to bring science to life in the form of after-school parties. 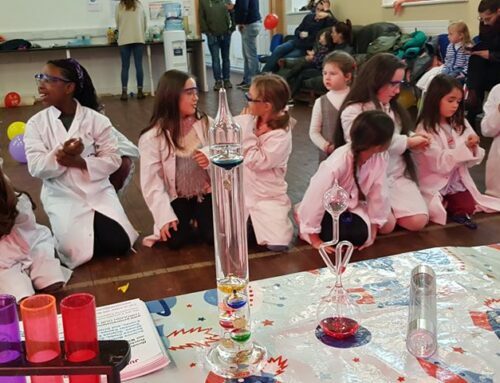 Cassidy explained how she intends to build Junior Einsteins into a global franchise business from Ireland, whereby the love of science can be brought into homes through birthday parties, schools and even corporate businesses. The company has already built an internationally focused website and has produced an operations manual for franchisees. She added: “But really, what I am teaching them is long-chain polymerisation. They then learn that this goes into how soldiers protect themselves on battlefields through the material that goes into kevlar armour. 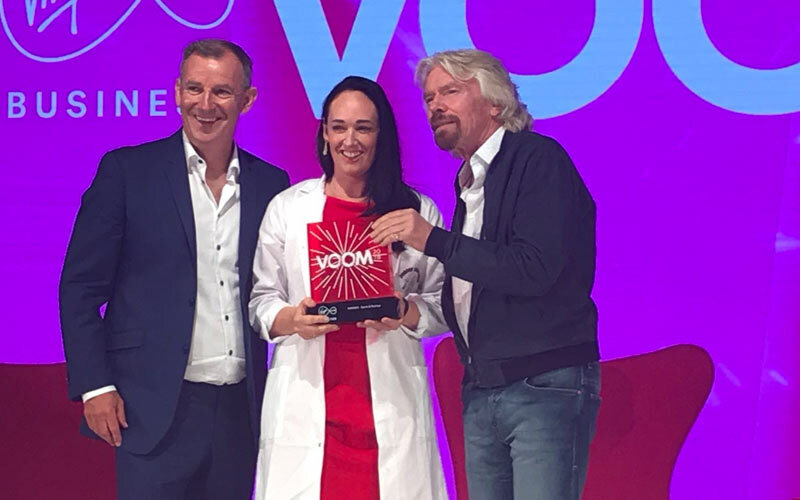 By Tracey Jane Cassidy|2018-10-25T09:17:44+00:00September 9th, 2015|News|Comments Off on First Prize Winner: VOOM 2018 Richard Branson Virgin Media Business Award! We are passionate about nourish a lifelong love of learning through Science in all our children (Junior Einsteins), igniting their natural curiosity, creativity and sense of wonderment.